The truth about AdWords and other myths that circulate about Google. Over the years clients have told me they believe that buying AdWords from Google will help their websites to appear higher in the search results. I'm not sure where this incorrect information comes from but you might be pleasantly surprised to learn that it didn't come from Google HQ! According to Matt Cutts of Google it certainly is not the case. But conversely, Matt says, it doesn't actually do any harm to the search results as some other people have also claimed. As a website owner you'll be more than aware of phoney advice from so called SEO experts. We all get dozens of emails every week of the year from somebody or other promising no. 1 in Google if you buy into their company's plan. It's nearly always complete garbage but I suppose some people fall for it or else the emails would stop flowing. 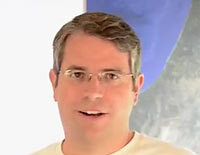 Matt Cutts is keen to dismiss conspiracy theories about Google; for example, deliberately forcing people to advertise. Matt emphasises that this would be a foolish move that would only backfire on them. He says that Google HAS to provide a good and honest service or people would simply stop using them. I recently wrote about Yell's new idea, Connect - being rolled out to gullible website owners offering a piece of software that will automatically submit sites to hundreds of business directories - in one hit. It also enables subscribers to add posts to Social Media in the same way. The price - £420pa! Matt Cutts, again warns against such questionable software and advises all website owners to concentrate on the simple and most important task of offering interesting content on their websites that the public will find useful. Just remember, many SEO companies are charging hundreds of pounds a month to clients to provide their services. To be fair, some do get results but I regret that there are a great many who do not. Matt Cutts says beware of these people who come up with SEO theories all the time to try and outwit Google and get sites better placed. He says they're just fads that come and go - that it's actually the SEO companies bigging up their ideas in order to sell them on to their unsuspecting clients. Full information about search engine optimisation for your website can be found here. Alternatively, my home pages conatins general information about my web design services.